Perch is one of the most popular freshwater gamefish in Scandinavia. At least for all-round anglers. Among fly fishermen though, trout, salmon and grayling reign as the classy targets, with the rich legacy of tradition, fly patterns and tons of classic literature. But the new wave of streamer tiers and streamer fishermen worldwide have turned the table upside down, and really put the spotlight on the large flies and the predators, that loves to hammer them. Designing and fishing large streamers for large predators is by no means new. Saltwater fly fishermen like Lefty Kreh, Stu Apte, Dan Blanton, Joe Brooks, Jack Gartside and a lot of other talented American anglers did that back in the 1950’s – but the crossover to freshwater was a kind of a late bloomer. Long before that, there was the old tradition of the Rangeley area long shanked streamer flies and the tandem trolling flies, but I think it was flies crossing over from the salt, that started the new streamer game. Joe Brooks brought his Blondes along to Argentina targeting monster brown trout, and Lefty Kreh used his Deceivers for pike and musky. But the major breakthrough came, when guys like Kelly Galloup, Russ Maddin and several others started tying really large flies for trout. 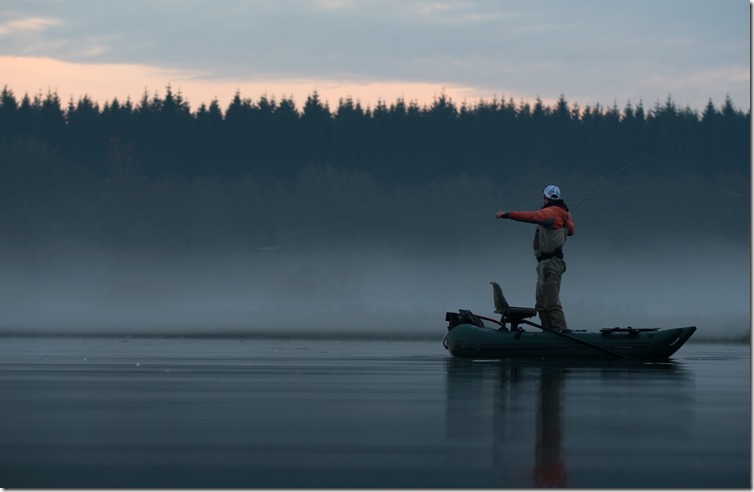 In Scandinavia the trout streamer development was carried on by Andreas Andersson (and others) while the pike fly torch was kept burning by guys like Niklaus Bauer, Daniel D. Holm and our very own Morten Valeur – guys that love perch as well. All the pictures for this blog was captured by Morten by the way. There’s a lot of cool stories hidden in that timeline, and we will dive into a lot of those throughout this season. Today though, we focus on the perch, a fish that seems to get a lot of attention from fly fishermen around here… right now. There’s no doubt that pike fly fishing mania is part of the reason, that fly fishing for perch is upcoming. When you’ve watched your 8 to 10-inch pike fly being inhaled by a hungry perch often enough – you can’t help wonder what a more specialized approach will bring. And sure enough. Even though perch occasionally will grab a full size pike fly – downscaling a bit, will result in more interest from the striped predator. 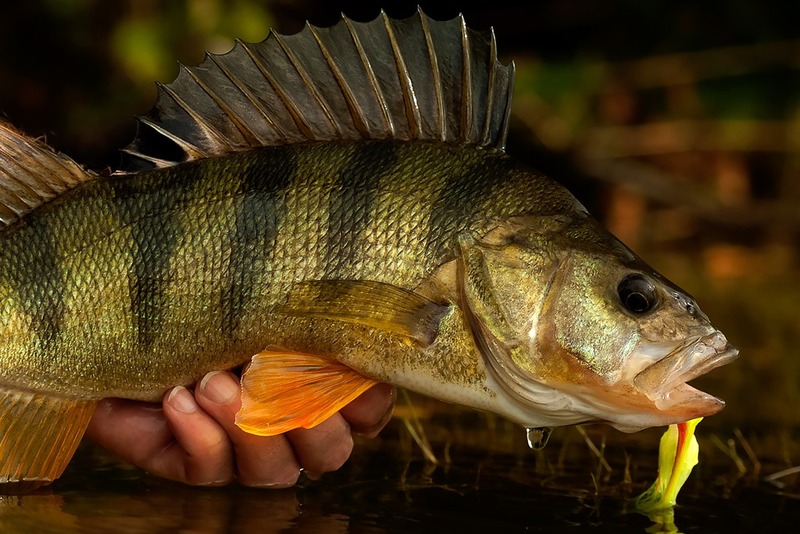 Perca fluviatilis, commonly known as the European perch, is found in Europe and northern Asia. While the the yellow perch, Perca flavescens is a native to North America. 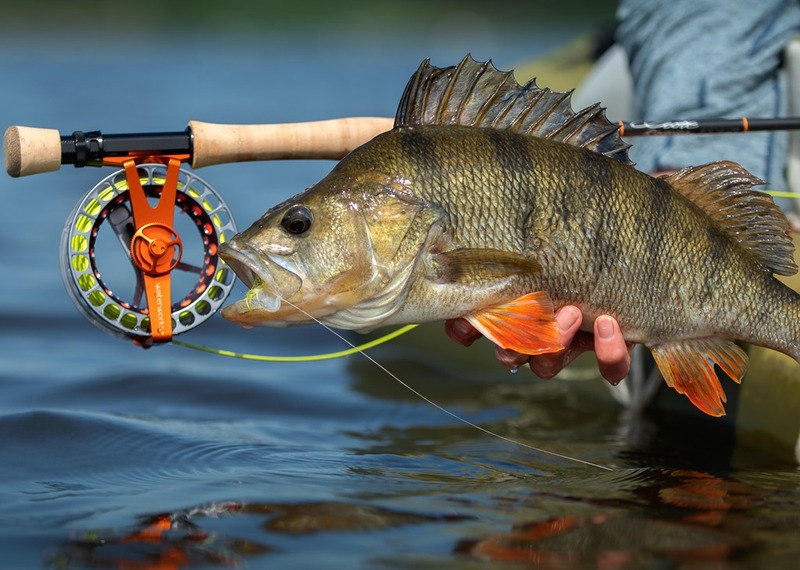 There are lots of good reasons to target perch with the fly rod. They are common in most freshwater environments: Lakes, ponds, canals, small streams and large lowland rivers. They even live in brackish water, and grow large if condition suits them. They are aggressive predators that will chase streamers and they are excellent fighters. Furthermore, they provide good sport year round – also when trout and salmon season is closed around here. Chasing perch in the cold months requires a selection of sinking fly lines and a box of large trout streamers or scaled down pike streamers. Early and late and slow and deep is the way to go on most days, but sun heating up the shallows can make for faster action late in the afternoon. When you find perch, there’s usually more than one – even though really large perch tend to be lone wolves. Here are a few flies, that we like to swing for perch. Some of them need a bit of downscaling.